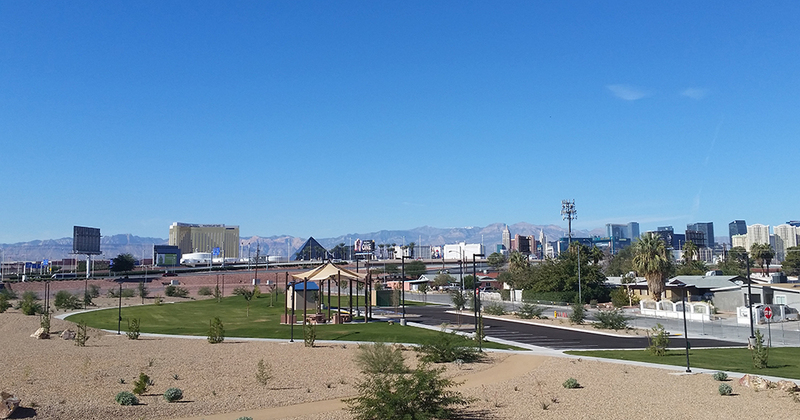 Siegfried and Roy Park is a beautiful 20 acre park just north of Las Vegas International Airport. Completed in 2016 by the Clark County Department of Aviation, it was the final phase of the airport’s terminal 3 expansion. 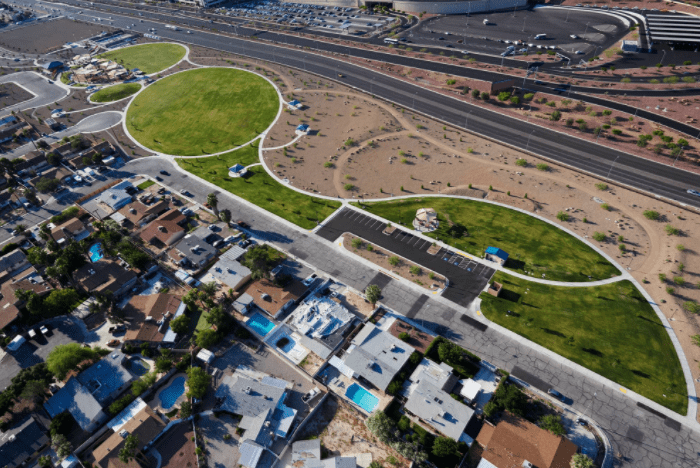 Envisioned to serve both local residents and visitors, the county was able to transition the area from a series of decommissioned houses to a park and pathway system complete with playground equipment, picnic structures, bocce courts and more. Looking to provide a safe atmosphere 24 hours a day, there was also a push to integrate a sustainable yet reliable lighting solution. 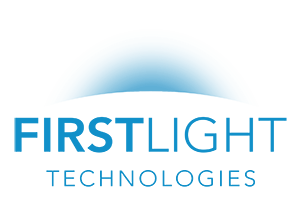 The design consultants for the project – Kimley-Horn – ended up choosing First Light’s IPL Series solar luminaires as the product that could meet the demands and reliability standards of an international airport. 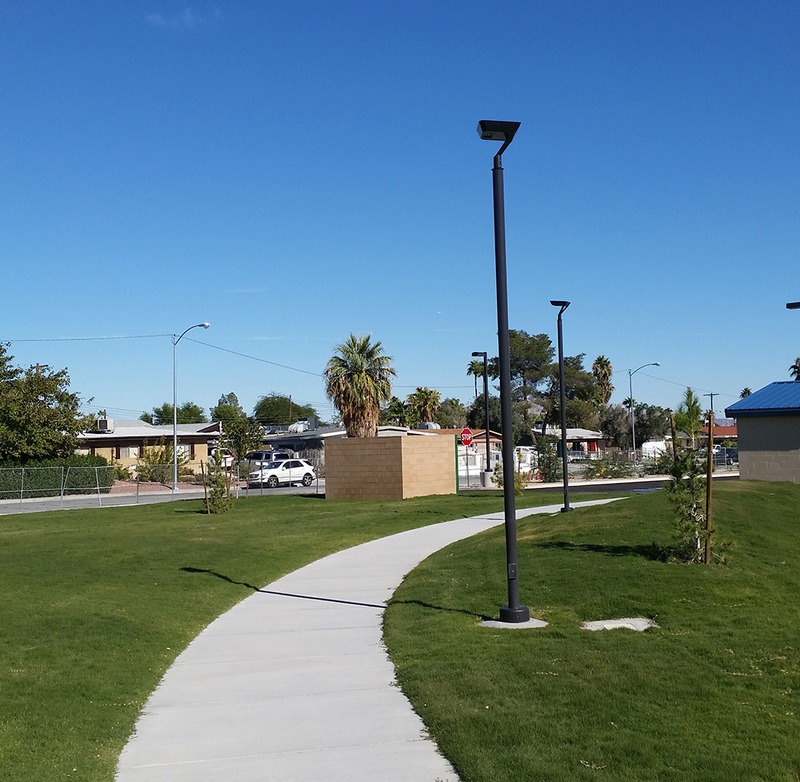 Clark County installed 73 of First Light’s IPL series luminaires. Considering the light output from a typical luminaire, this saves an estimated 16,000 kWh annually. There are also a lot of potential savings in install costs as solar lighting removes the requirement for trenching for electrical wires which also lowers remediation costs. 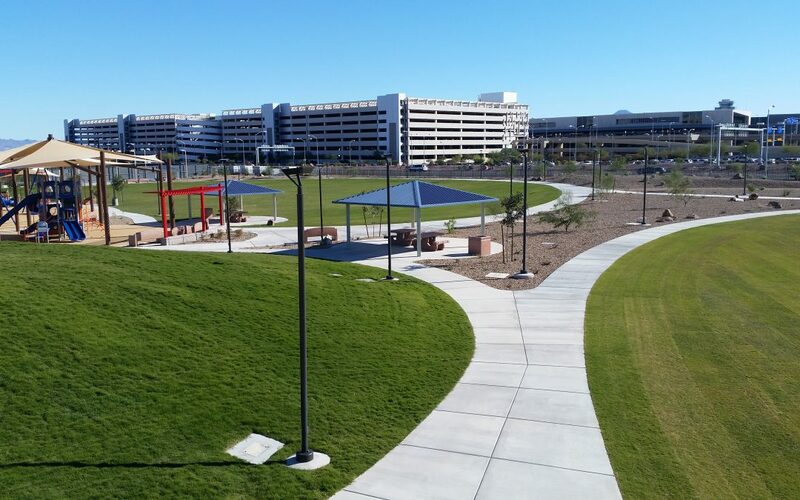 Through the installation of First Light’s luminaires, Clark County and McCarran International Airport are able to provide year-round, reliable lighting to a park in the middle of an international and local hub. 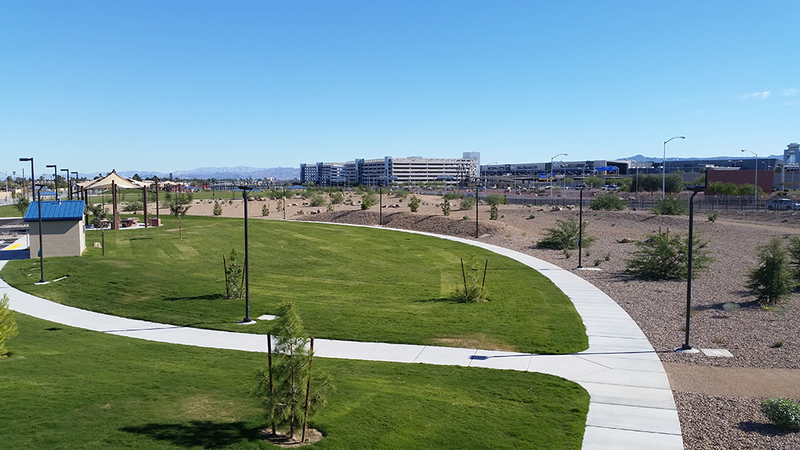 For a more on Siegfried and Roy Park, watch the grand opening video.